Masanori Yamamoto, MD, is a proctor for the CoreValve™ transcatheter aortic valve system in the Department of Cardiology of Toyohashi Heart Center in Japan. On December 1, 2016, Medtronic's new generation transcatheter aortic valve, the CoreValve™ Evolut™ R System, received reimbursement approval from the Japanese Ministry of Health, Labor and Welfare (MHLW) for patients with severe aortic stenosis (AS) unable to undergo surgery and for whom treatment with transcatheter aortic valve replacement (TAVR) is determined to be the best option. This reimbursement approval followed the Shonin approval from the MHLW that Medtronic received in November. Evolut R is the first and only recapturable, self-expanding TAVR system available in Japan. Earlier in 2016, Edwards' SAPIEN 3 was approved, as well. To assess the clinical and market impact of these new generation TAVRs in Japan, Angioplasty.Org's partner site, TCROSS NEWS, recently interviewed Dr. Yamamoto. Q:	What is the current Japanese TAVR Market? Dr. Yamamoto: In general, the incidence of annulus rupture and coronary occlusion is higher in the balloon-expanding Sapien system whereas paravalvular leakage and new pacemaker implantation are more common in the self-expanding CoreValve system. Operator preference or skill often affects device selection but, generally speaking, the selection is dependent on the anticipated complications discovered during the screening process prior to the procedure. The CoreValve self-expanding system is preferred for patients at higher risk for annulus rupture predicted by pre-procedure CT angiography (e.g., huge calcification located in annulus or calcifications continuing to the left ventricular outflow tract). The balloon-expanding Sapien system received approval in Japan earlier than the CoreValve, resulting in Japanese interventional cardiologists being more familiar with the Sapien system. Today, Sapien is selected in approximately 70% of TAVR cases. Q: Were there any changes after the approval of Sapien 3 in Japan? Dr. Yamamoto: Sapien 3 was hoped to be a game-changer in the U.S. and was expected to alter the structure of the current TAVR market. Indeed, PARTNER 2A and PARTNER S3 trials included intermediate risk with surgery and demonstrated non-inferiority and superiority of TAVR using Sapien 3 as compared to surgical AVR. Complication rates associated with annulus rupture and coronary occlusion in Sapien 3 are lower than those with its previous model. As a result, the US FDA allowed to expand its use in patients with intermediate risk. Our initial experience with Sapien 3 following its approval in Japan demonstrated its safety and simplicity while maintaining the efficacy. Procedure time (approximately 30 minutes) and hospital stay (1 to 2 days) are reduced thanks to less invasiveness. 70-80% of our patients are discharged from the hospital within 2 days after the procedure. Q: What kind of patients use Evolut R in your practice? Dr. Yamamoto: Recapturability is the major advantage of Evolut R, thereby reducing the operators’ stress during TAVR. This user-friendly device improves safety and convenience. Lowering the device profile reduced the incidence of paravalvular leakage and while the inserted sheath size became smaller, thereby allowing the use of a 14F (5.0mm) sheath in 23mm, 26mm, and 29mm for Evolut R.
For Japanese people who have smaller ilio-femoral arteries, Evolut R will be preferred for the femoral approach in TAVR. In addition, because Evolut R is designed to locate the bioprosthetic valve at a higher than native valve position, it is indicated especially for patients with bicuspid valve or surgical biological valve dysfunction. Q: What percentage of the patients experience paravalvular leakage in real world? 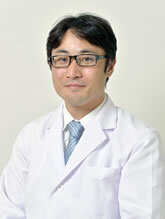 Dr. Yamamoto: The rate of paravalvular leakage and its severity have been reduced along with the product improvement. It is expected that no severe aortic regurgitation (AR) occurs when using Sapien 3 or Evolut R. Moderate AR in our practice may be occurred in less than 15% in both valves. AR is rarely seen in Sapien 3. Thus, together with mild AR, leakage is free in more than 80% of Sapien 3 cases. Excellent outcomes seen by the Japanese operators were similar to the initial experiences reported from Western countries. These outcomes were also due to our original screening process, proctoring system, and collaboration with those who studied outside Japan including France, Germany, Italy, and the U.S.